Computer security, whistleblowers, hacks, compromises, and leaks have arrived on these pages. Not through technical interest, but because of information that’s become available. But more preface is required. 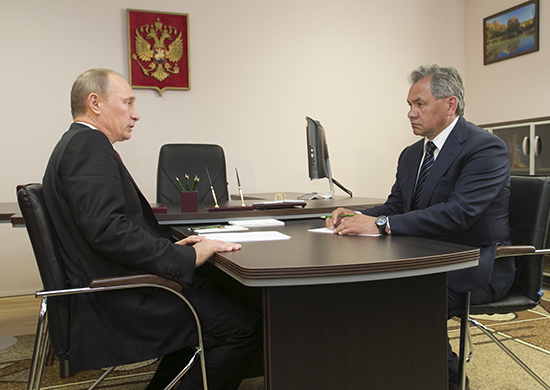 Russia watchers aren’t sure who’s behind Anonymous International. Are they computer genius anti-Putin “hacktivists” stealing Kremlin emails and documents, auctioning off some and publicizing others? Or are they a small, relatively liberal Kremlin faction (or just a few people) leaking information to benefit themselves politically? Take your choice of analyses (here, here, and here). They take their noms de plume from Alice in Wonderland. 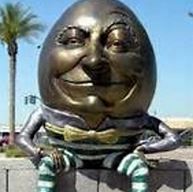 Shaltay Boltay — Шалтай Болтай (Humpty Dumpty) — is the group’s voice. The group is famous for hacking and spoofing Prime Minister Dmitriy Medvedev’s Twitter account, and for revealing the Kremlin’s hired trolls at work on Western web sites. But the group’s latest information is of interest here. 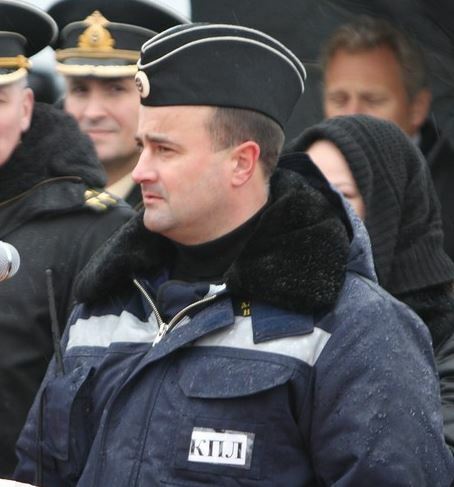 Anonymous International addresses the Chief of the FSB’s Military Counterintelligence Department, General Colonel Aleksandr Bezverkhniy in mock indignation over Defense Ministry emails it obtained. They reportedly came from the secretary of the former MOD Construction Department Director, Roman Filamonov. Anonymous International calls the MOD’s information security organs “criminally negligent.” It claims it used Yandex.ru, Mail.ru, and Gmail.com to obtain “service” (FOUO) documents sometimes containing secret data on Russia’s defense capabilities. Reports on meetings with the Defense Minister and his deputies were allegedly transmitted via easily accessible open email. The group says Filamonov’s secretary put her username and password for the MOD’s official email server in her electronic files. Anonymous International asks Bezverkhniy to address the cavalier attitude toward information security among former and current MOD officials. But everything mentioned is just an excerpt. The group says it will sell a copy of its complete four-year collection of files from Filamonov’s secretary to the FSB for half price. But only 21 were completed on schedule — in Luga (26 рбр, 6А, ЗВО), Molkino (1 рбр, 49А, ЮВО), and Birobidzhan (107 рбр, 35А, ВВО). Others — in Mozdok (probably a battalion’s worth), Znamensk, and Totskoye-2 — were experiencing significant delays in design or construction. One in Shuya was not due for completion until February of this year. It’s likely four more bases will be outfitted under some future contract. This information from Filamonov’s secretary’s email is not particularly revelatory. The missile brigades are well-known. But it’s embarrassing that only one-third of this work was finished on time, despite the priority given Iskander-M. Recall this program is supposed to be 100 percent procured by 2017. Additional money will probably be needed to bring the effort back on schedule. 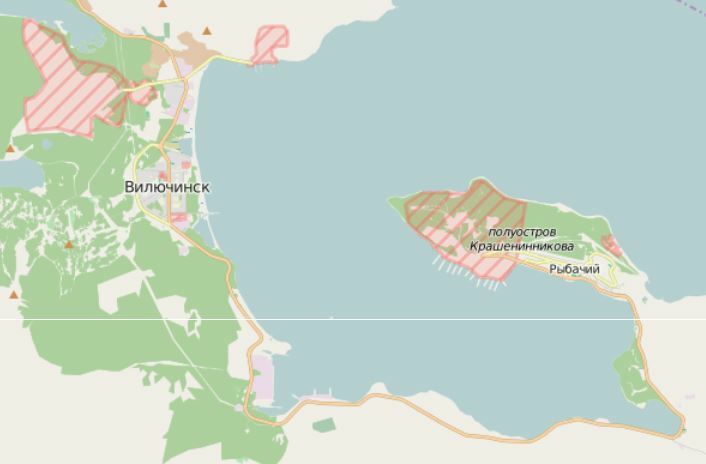 Anonymous International also posted a slightly redacted report on construction, or reconstruction, of 12 Pacific Fleet submarine facilities near Vilyuchinsk to support the basing and operations of proyekt 955 Borey-class SSBNs. It vaguely outlines a three-phase plan to complete this work in 2014, 2015, and 2017. The report refers without specifics to work on mooring areas, shore power, dredging, and 12th GU MO nuclear warhead storage buildings. In the second phase, it mentions completing a 100-ton crane, missile and weapons handling areas, storage buildings, roads, service housing, and “social infrastructure.” Finally, the report describes “full completion of the Pacific Fleet submarine base” including pier, administrative, vehicle, missile, and weapons storage areas, and roads as well as the “full development” of the energy and water supply for nearby residential areas. The report is a year old, but depicts a base not quite ready for new fourth generation SSBNs. Apparently, Aleksandr Nevskiy (K-550) is coming anyway. Three more Boreys will follow while work at Vilyuchinsk and Rybachiy continues. As noted previously, the issue of maintaining Russia’s naval strategic nuclear force in the Pacific has been long and painful for the MOD and for the Glavk personally. 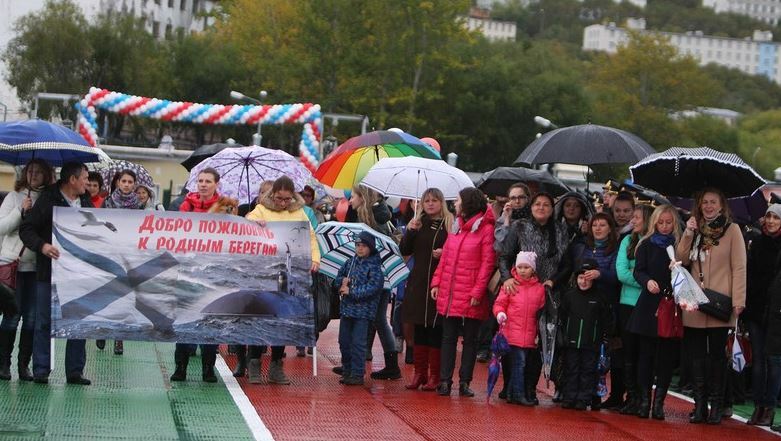 On 29 December 2014, Pacific Fleet Delta III-class SSBN Svyatoy Georgiy Pobedonosets returned home from a combat patrol, according to Mil.ru. 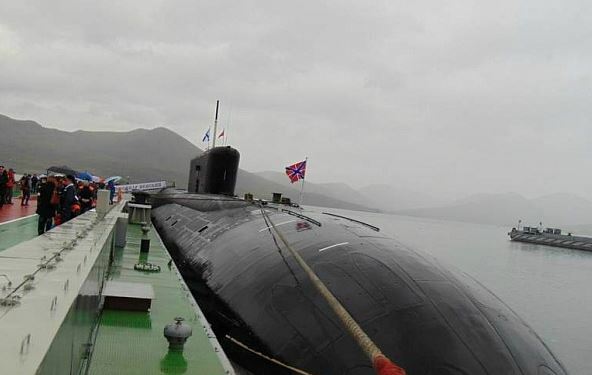 The MOD site reported that the submarine arrived in Vilyuchinsk after completing missions at sea. 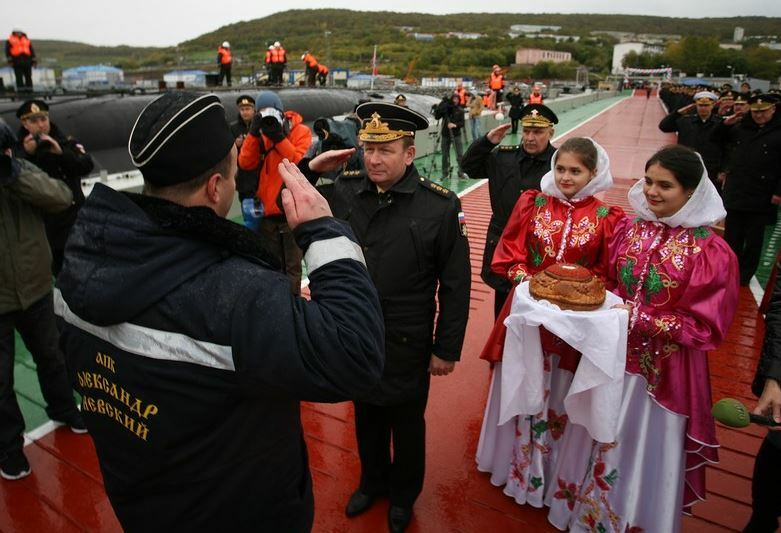 The chief of staff of Pacific Fleet submarine forces greeted its commander and crew with a traditional roast pig. Mil.ru said Pobedonosets will be ready to fulfill new tasks after replenishing its stores. 34-year-old Pobedonosets is one of only three (two operational) SSBNs in the Pacific Fleet order-of-battle. It conducted an inter-fleet from the Northern to the Pacific Fleet in late 1983. From 1993 to 2003, it was laid up at Zvezda shipyard for extended “medium repair” due no doubt to a lack of funding at the time. Then-president Dmitriy Medvedev visited Pobedonosets in 2008. The submarine fired SS-N-18 SLBMs during strategic forces exercises in 2013, 2012, 2010, and 2009. 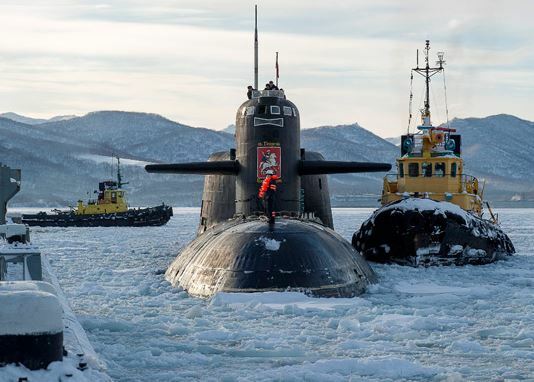 The 2013 shot occurred while the SSBN was on patrol and came from the Sea of Okhotsk, according to the VladNews agency. The Russian Navy conducted only five SSBN patrols in 2012, according to a FOIA response obtained from U.S. Naval Intelligence by Federation of American Scientists scholar Hans Kristensen. He concludes five were not enough for Moscow to resume continuous SSBN patrols as its Navy CINC promised in mid-2012. They would be 73-day patrols end-to-end. It seems likely Pobedonosets spent 40-50 days in the Sea of Okhotsk or not far off Kamchatka in the extreme northeastern Pacific. 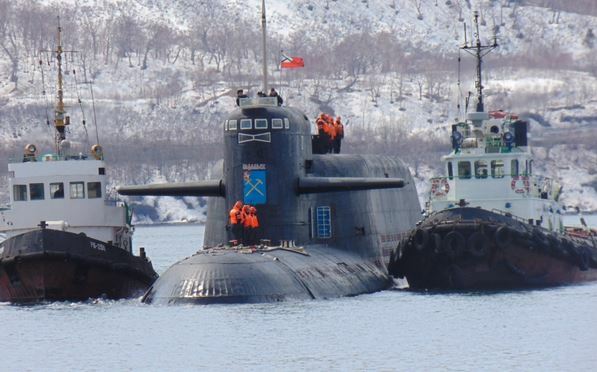 35-year-old Delta III-class SSBN Podolsk patrolled in 2011, VladNews reported. PrimaMedia indicates that Podolsk fired an SLBM, conducted other training, and possibly even an abbreviated combat patrol in mid-2014. Russianforces.org noted it was the first launch from Podolsk in more than a decade; all other recent Pacific Fleet firings came from Pobedonosets. 32-year-old Delta III-class SSBN Ryazan inter-fleeted in 2008, launched an SLBM in 2009, but has been inactive undergoing repair since 2011. So the fleet’s old two-submarine SSBN force performs the arduous job of maintaining some kind of Russian strategic patrol presence in the Pacific. There’s some evidence for maybe four Pacific Fleet SSBN patrols in the last four years. 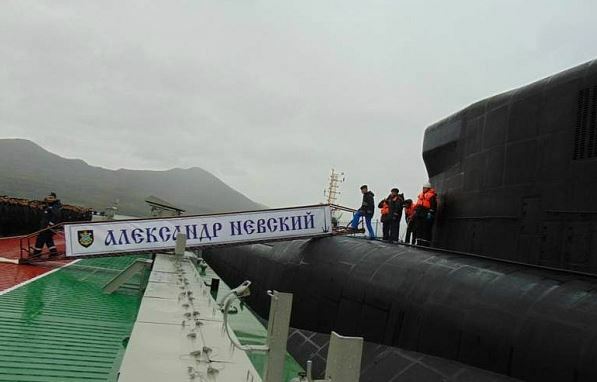 Meanwhile, the Pacific Fleet awaits the inter-fleet of Borey-class SSBN hulls two and three, Aleksandr Nevskiy and Vladimir Monomakh, in the fall when, the Navy hopes, their new base facilities will be complete. They are already officially Pacific Fleet assets but based temporarily in Gadzhiyevo. Two additional Boreys (for a total of four) are intended for the Pacific at some point. But, in the meantime, the aged Pobedonosets and Podolsk will apparently conduct occasional patrols. Militaryparitet.com wrote recently about Jane’s Defence Weekly’s report on the possible start of construction of an indigenous Chinese aircraft carrier on Changxing, near Shanghai. A new one, not an old one bought abroad and refurbished. It may, or may not, be a carrier in the end. In other words, a later-day Ulyanovsk. Militaryparitet also cites Voice of Russia. It quoted Pavel Kamennov of the Russian Academy of Sciences’ Institute of the Far East, who claimed China will build two conventionally-powered carriers by 2015 [sic?] before constructing a nuclear one by 2020. The government broadcaster tends to see a threat from China. Its report came against the backdrop of Liaoning’s first deployment. Now it seems likely China will soon surpass Russia as a carrier power. Though one notes Moscow, even with a less than robust program, still has years of experience operating Kuznetsov that constitute a final remaining advantage over Beijing. China catching the U.S. Navy is altogether different. 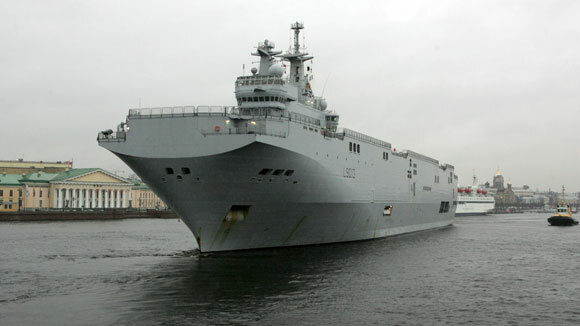 To its credit, Militaryparitet wrote that acquiring carriers is complex and expensive. 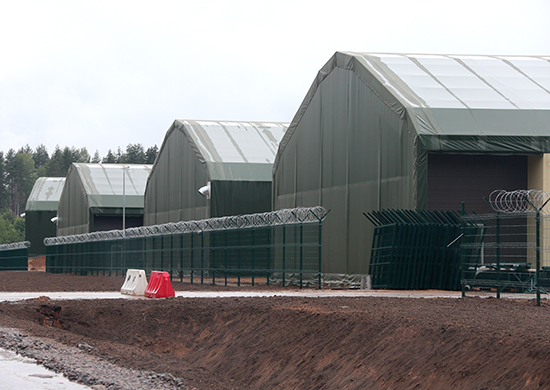 They take years to build, and many more to master their tactical and strategic operation. There’s no substitute for experience in controlling carriers and battle groups under real-world conditions. And the U.S. Navy has launched aircraft into combat from flattops for decades. Those aren’t the only hurdles. Not to mention the stress when the cat hurls it skyward. It’s no surprise Russian military observers and nationalist-minded elements lament the rise of China’s naval power and its fast-developing and emblematic carrier program. But were it not for politeness, they could be reminded that China quite some time ago supplanted Russia as a “first tier” power in the Pacific in many ways. Demographically, economically, diplomatically, and perhaps even militarily. Other China-watchers (including many Russian ones) have a more benign, less zero-sum view. They see Beijing as simply preparing to represent and defend its interests, which may or may not conflict with Moscow’s (or Washington’s for that matter). Meanwhile, Western Russia-watchers tend a little cottage industry of trying to divine how Moscow really feels about China. And the wisest ones probably say there’s more than one correct answer to this question.